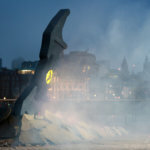 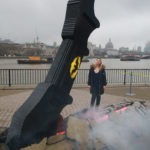 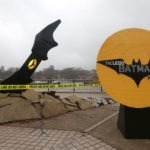 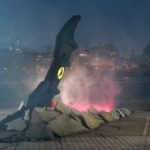 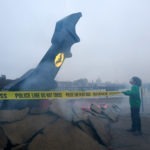 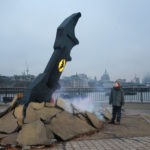 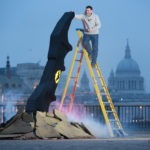 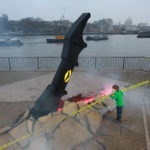 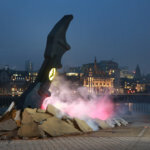 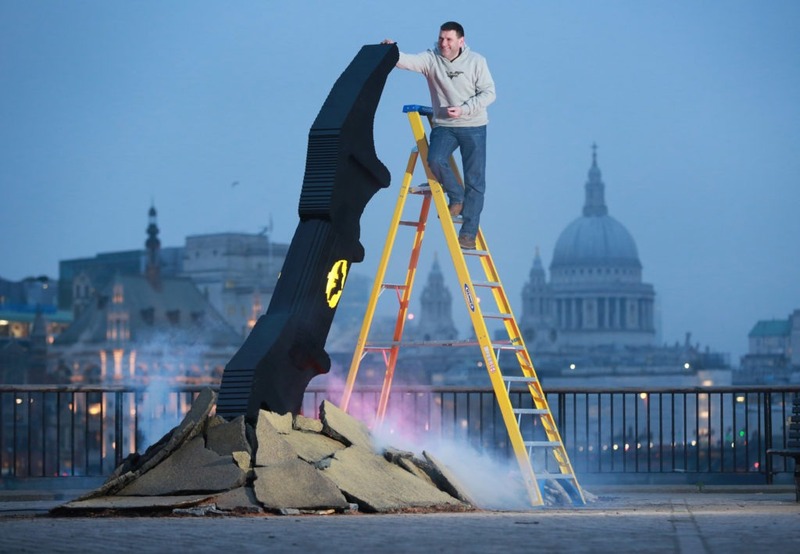 World’s biggest LEGO Batarang crash lands on London’s Southbank! 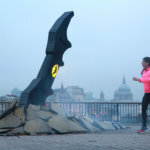 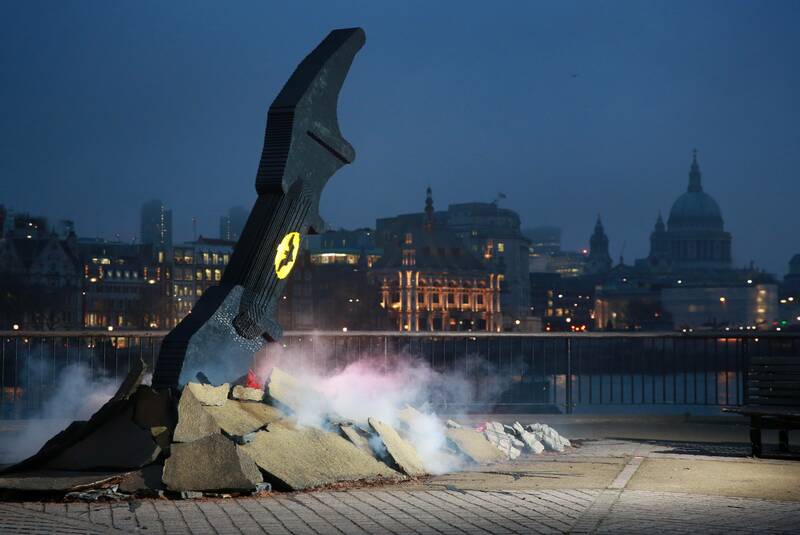 A huge LEGO Batarang has crash-landed in London! 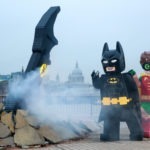 Made of 35,000 LEGO pieces and standing three metres tall, Batman’s famous utility has shown up on London’s Southbank! 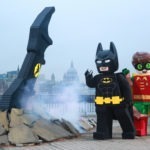 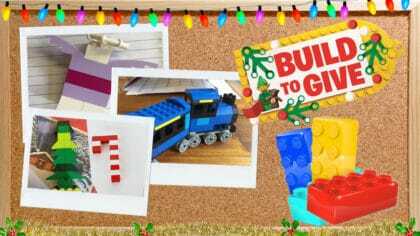 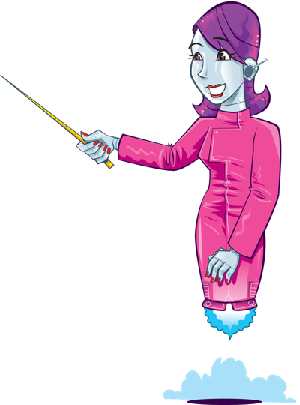 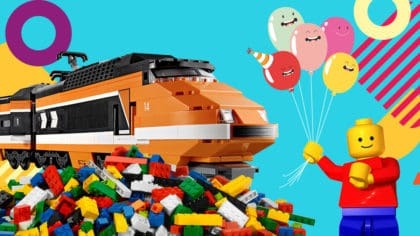 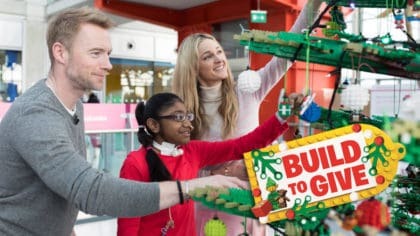 It’s been crafted by Duncan Titmarsh (Britain’s only official professional LEGO builder) and his team at Bright Bricks. 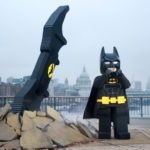 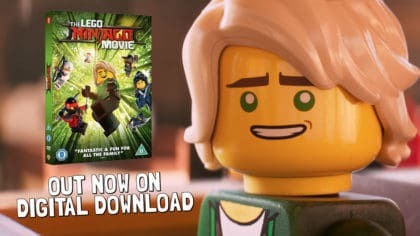 The installation is to mark the release of The LEGO Batman Movie, which is in cinemas this Friday (10th February)! 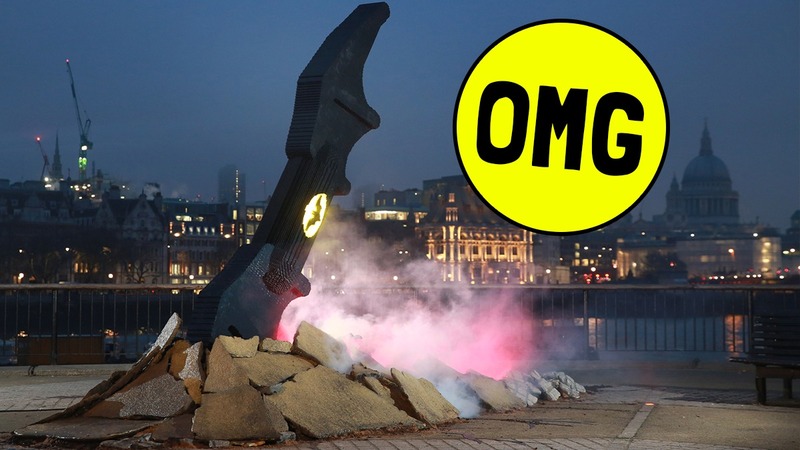 Along with a load of bricks, the scene has been crafted using broken ground and burning rubble! 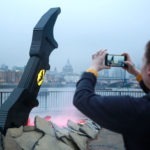 You can see it until the end of the week at Observation Point – and meet Batman, Robin and Batgirl too!